Join Certified Ayurvedic Practitioner and Transformatioal Health & Life Coach, Sally Clinton, for a relaxed and spacious 12 week journey into the energy of summer as we explore the physical, spiritual and creative aspects of the fire element in your body, your health and your life. Learn how to ignite this element into action for optimal health & creativity, passion and purpose. feel disconnected from your own passion and Light? want to deepen your relationship with your creativity? want to expand your spiritual understanding of the fire element? want to enjoy summer without getting frantic or fried? want to feel more empowered with the energy of fire in your life? If you answered yes to any of the above, this is for YOU! Have fun and more fully enjoy your life! Spark your health and your life to the next level! Three month program for just $397 $247 if you sign up by June 28 with discount code IGNITEME2! Sign up today! Your IGNITE! 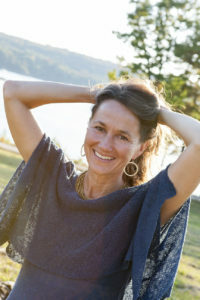 Guide is Certified Ayurvedic Holistic Health Practitioner and Transformational Coach, Sally Clinton, who has done her own dance with the energy of fire throughout her life! Committed to inspired living, Sally loves to be an alchemical support for those interested in their own transformation. IGNITE! is both an experience and a process that you'll be able to draw on again and again to allow the fire energy to support you at all levels in your Life. Harness your Inner Fire for greater health, vitality, creativity, passion and purpose! "5 stars!!!!! I'm really enjoying this process....I love everything I've done thus far. [The materials arrive] and can't wait to get to them. Truly Sally, you and this program are brilliant!!!!" "I am still working with the IGNITE! material, but I already feel more inspired and energized...just learned [something] I wrote this summer will be published...and I think a spark was kindled [during the IGNITE! experience]. Thank you for this possibility and for the beautiful work you do in the world." ~ K.R. "I found IGNITE to be an incredible journey to awakening the inner fire, which I learned is so much more than your digestion or metabolism! The materials Sally provided were a joy to use not only because they helped unite heart and mind, but because the images were a colorful feast for the eyes. I also thought the tools and practices Sally created beautifully complimented the program by fueling your fire and inspiration for life. I would highly recommend IGNITE to anyone desiring to kindle their inner fire, creativity and passion!" ~ L.B.